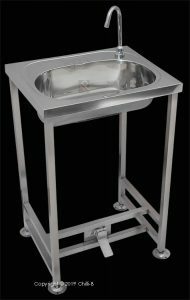 Stainless steel hands free foot operated wash basin. 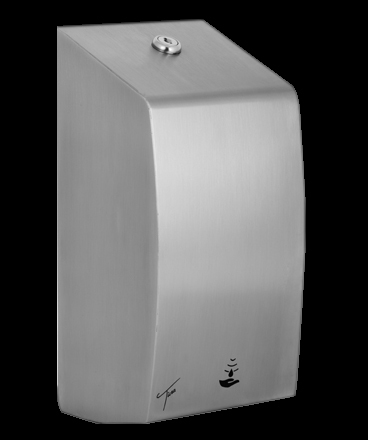 Supplied complete with water spout positioned in rear right hand corner or to the left and with a 40 mm waste outlet. 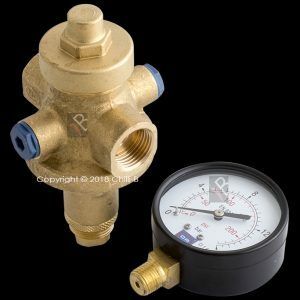 Fitted with an industrial metered valve. The foot valve is activated by lightly pressing once on the lever. The water will run for 8-15 seconds seconds. Note that the lever must not be held down for the water to flow. The mechanism significantly reduces wear and tear. 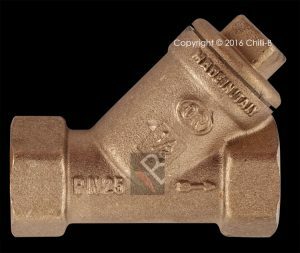 Spare valves cartridges are available. The valve supplies cold water or pre-mixed warm water only. Mixing can be done with either a mechanical hot/cold mixer or a thermostatic valve. 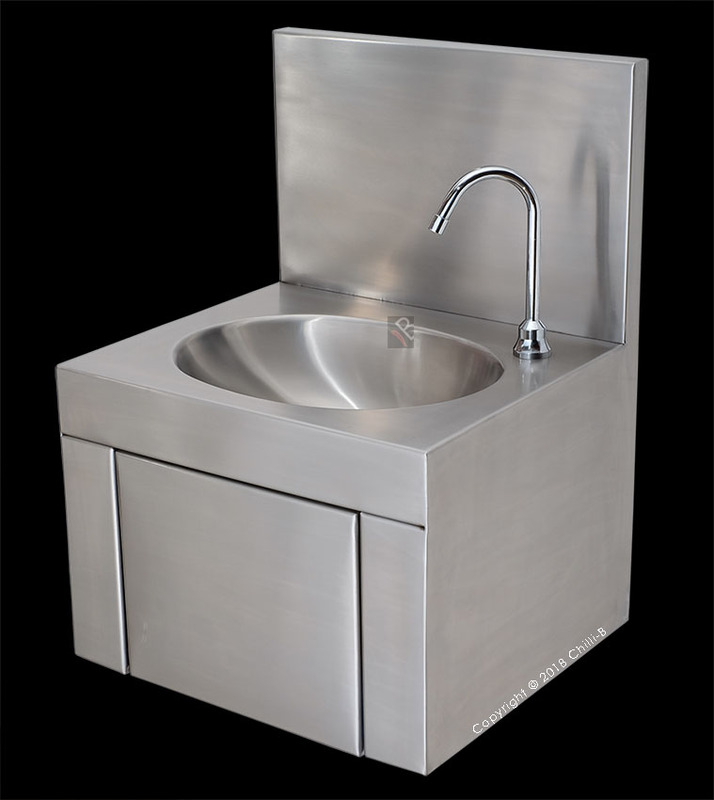 This basin is ideal for food industry, hospitals, clinics, doctors surgery rooms and workshops. Dimensions: 800 x 520 x 420 mm. Stainless steel hands free wash basin with knee operated tap. 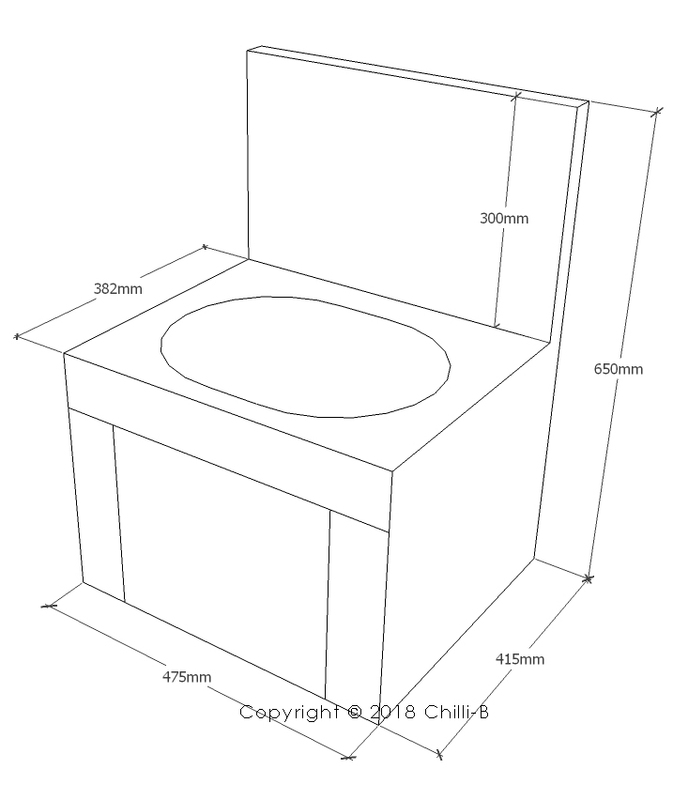 Supplied complete with water spout positioned in rear right hand corner and 32 mm waste outlet. 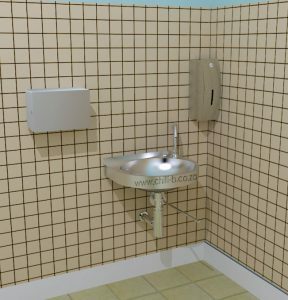 Note: The metered valve and the pipe work linking the water spout to the knee operated front panel is all supplied with the washbasin. The valve does not mix hot and cold water, so the supply is cold water only. In order to have warm water a thermostatic valve is required. Wall mounted by fitting a top joggle strip under the up stand return and by screw fixing through the integral rear brackets. Screws and plugs are not supplied. 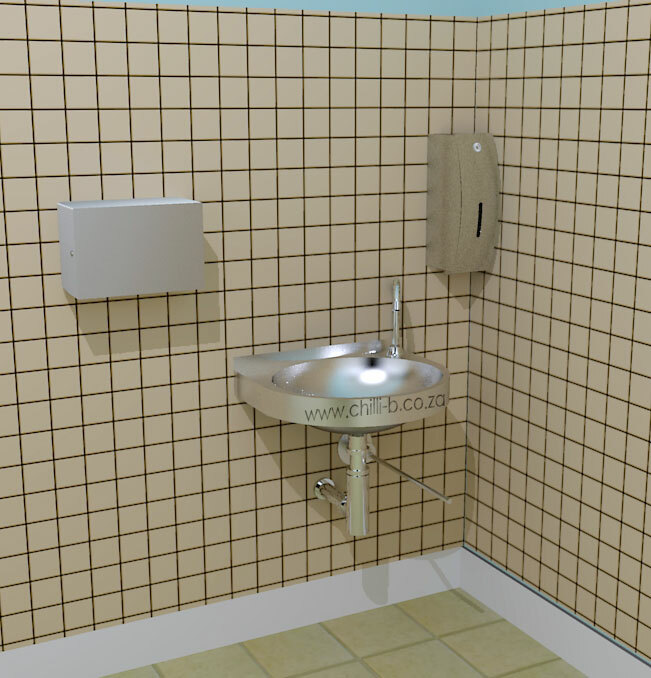 This basin is ideal for food industry, hospitals, clinics and doctors surgery rooms. 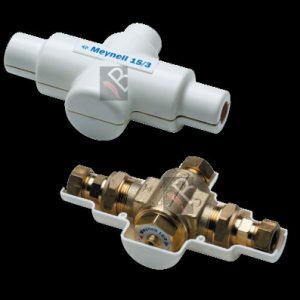 The thermostatic valve can be installed before the inlet of the knee or foot valve to supply comfortable warm water without the risk of burning.